Honor launched its latest mid-range phone in India, the Honor 10 Lite. This new phone by the brand takes the Lite series of Honor forward and comes with some impressive specifications. As you might have already guessed, the Honor 10 Lite comes with the dewdrop styled notch which the highlight of its design. On that note, the smartphone does not fail to attract anyone who lays eyes on this device. 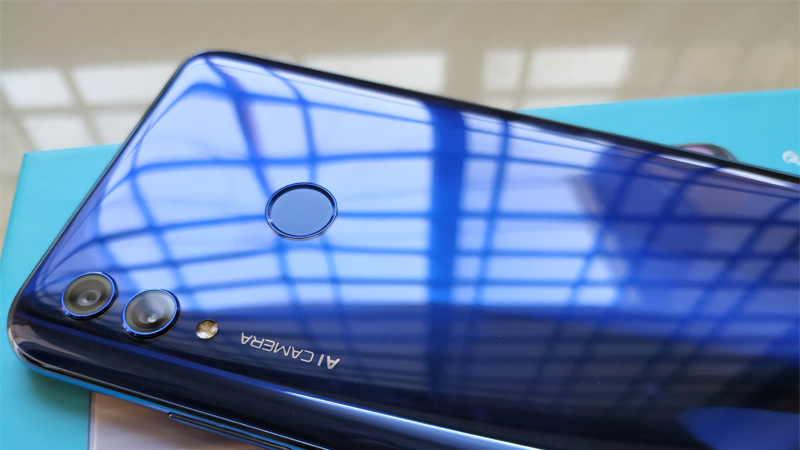 We happen to have the Sky Blue variant of the Honor 10 Lite with 6GB RAM and 64GB storage which gave us some insights as to how the phone might feel for a first time user. Honor has decided to debut three colour variants of this device in the country. So, without any delay let’s move ahead and check out what are the first impressions of the newly launched Honor 10 Lite. First of all, the Honor 10 Lite comes in a simple blue boxed package which bears the phone’s picture. Inside, we are first greeted by the device itself. Further, we get to see the Honor 10 Lite’s charging adapter of white colour paired with a micro-USB cable for charging. Besides the SIM ejector tool, the Honor 10 Lite also ships a transparent silicone case, which the buyers will surely appreciate because the phone comes with a glass back. Coming to the device, as we mentioned above, the Honor 10 Lite is quite a looker. The phone fashions a glossy finish on its curved back which reflects a lot and lends it a premium feel. Honor claims that this colour and shine has been achieved by eight layer COF technology process. On the rear, we also get to see the vertically stacked dual rear camera setup with an LED flash and a circular rear-mounted fingerprint sensor. Lastly, there is the vertical Honor branding on the lower side. As for the front, we get to see the dewdrop styled notch on the phone which is limited to a small width thus leaving out more space for the notifications. The display of the device is also really sharp, and the colours are bright and vibrant when we fire up the screen. The Honor 10 Lite, which is the brand’s latest offering sports a 6.21-inch Full HD+ with 1080×2340 pixels resolution. Under the hood, the phone packs the HiSilicon Kirin 710 SoC, clocked at 2.2GHz. Buyers will get the 4GB, and a 6GB option of this device paired with either 64GB or 128GB of storage and both will come with a microSD card to enable expansion by up to 512GB. The Honor 10 Lite also boasts of running on the Android 9 Pie OS out-of-the-box with the EMUI 9.0.1 skin on top. On the rear, we get to see the dual rear camera setup which combines a13MP f/1.8 aperture primary sensor with a 2MP secondary sensor. The front snapper on the device is a 24MP sensor which has an f/2.0 aperture. Additionally, the Honor 10 Lite boasts of having a 3400mAh battery. With a price tag of Rs 13,999 for the 4GB/64GB variant and a 6GB/64GB variant available for Rs 17,999, the Honor 10 Lite is an impressive mid-range offering from the Huawei sub-brand. Also, the phone goes live on sale on January 20 at 12 AM exclusively on Flipkart.